Typewriter Table - Jill Ruth & Co.
A couple weeks ago I hit the last day of an estate sale. This was the gem that came home with me. 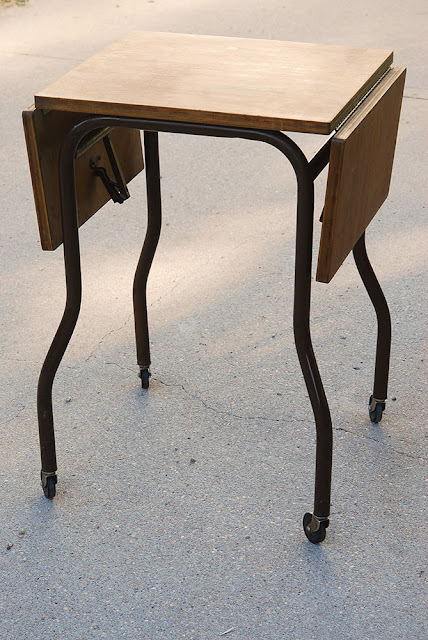 I wonder if most would prefer an all metal typewriter table and that's why this was still there. I was pretty taken with the combination of wood and metal. Here's the before. Pretty decent shape. Paint or finish the wood? I debated for 1 1/2 minutes. Since I decided to keep it, I wanted the wood finished. It has such a nice patina to it! There it is. All decked out with another table runner redo! My lovely crocheted rocks have a new home. The seeds are in a very old mortar that my brother in law and sister in law gave me. It's beautifully aged. 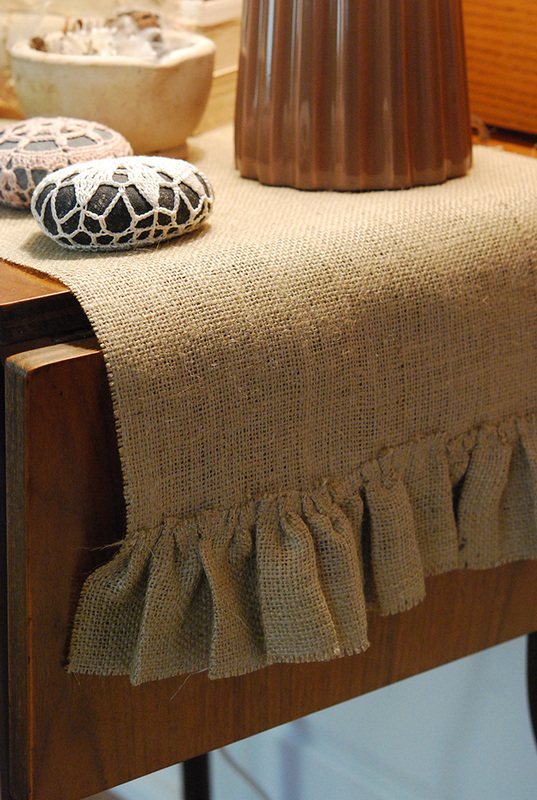 I gathered a 3 inch piece of burlap and stitched it right on top of the edge of my table runner. Two layers of stitching secured the loose edges. A firm pressing keeps the stiff burlap in line. Should you make yourself one, be sure to stitch all of your edges so it doesn't continue to fray. I made the little house shaped piece months ago and it's been waiting for a place to land. 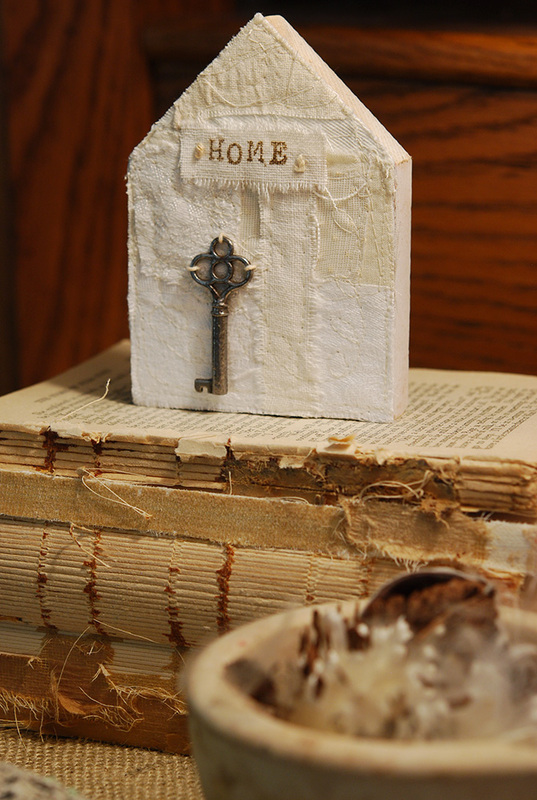 I machine embroidered scraps on to a backing, and then I used rubber stamps to make the word, "home". What a great find! I love the metal and wood combination as well as the style. 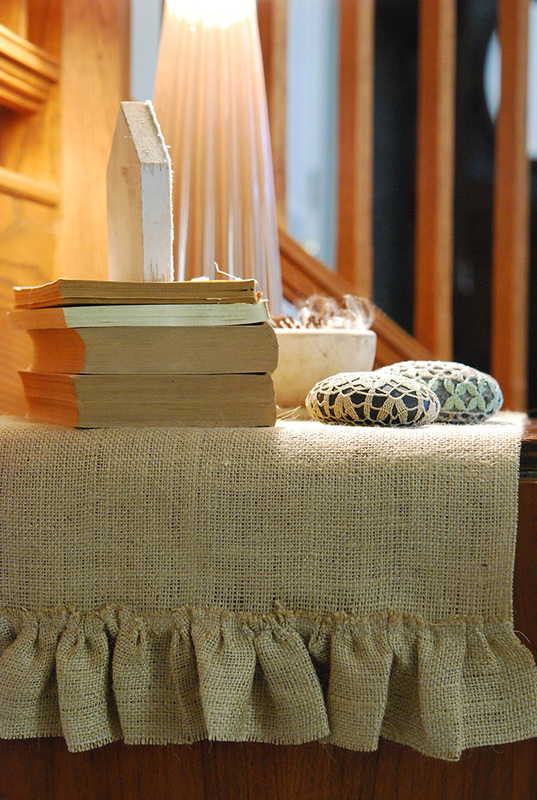 You have made it look wonderful with the vignette and burlap! KUDOS kiddo! Looks fabulous, and although I admire your work greatly it was the milkweed pods that stopped me cold. Used to play with these as a girl.... I would make wigs and mustaches for my dogs. Not that they appreciated my creativity. My Grandma gave me an old metal one years ago. I loved it so much. But when we moved we couldn't bring it with us. I am still sad that I let that treasure go. Mostly because it was a piece of my Grandma who is no longer with us. Oh... I'm so glad you left the table in all of it's beauty!!! I LOVE the typewriter tables with the wooden tops - I want one! Jill - your tablescape is GORGEOUS!!!!! 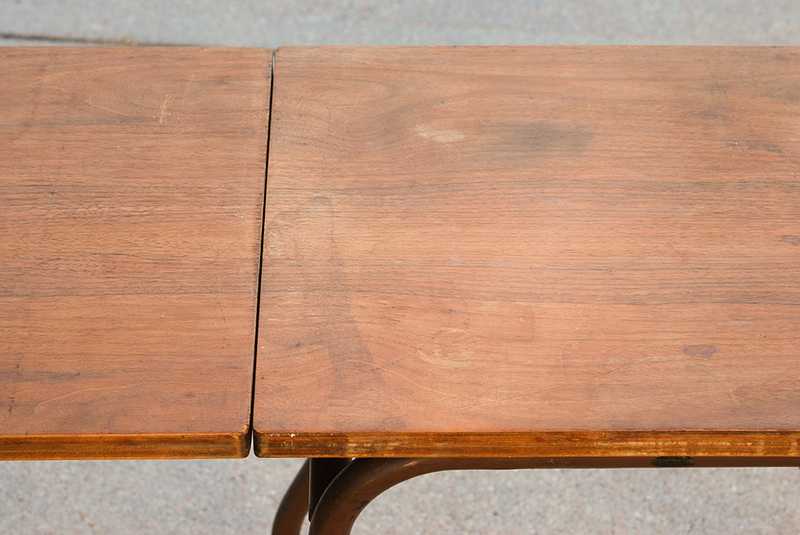 I have noticed quite a few of these tables lately. I would have gone for the wood just like you did. I use alot of paste wax and buff ---think I need your power buffer!! Beautiful results!! 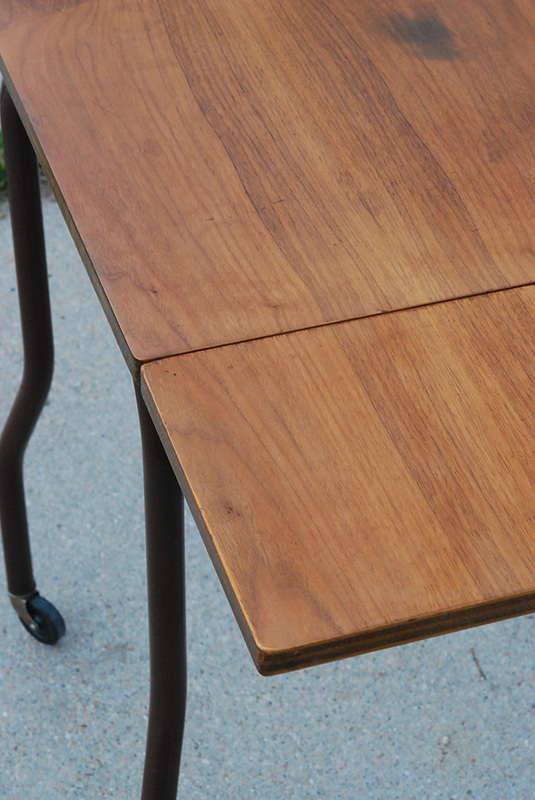 Great little table. 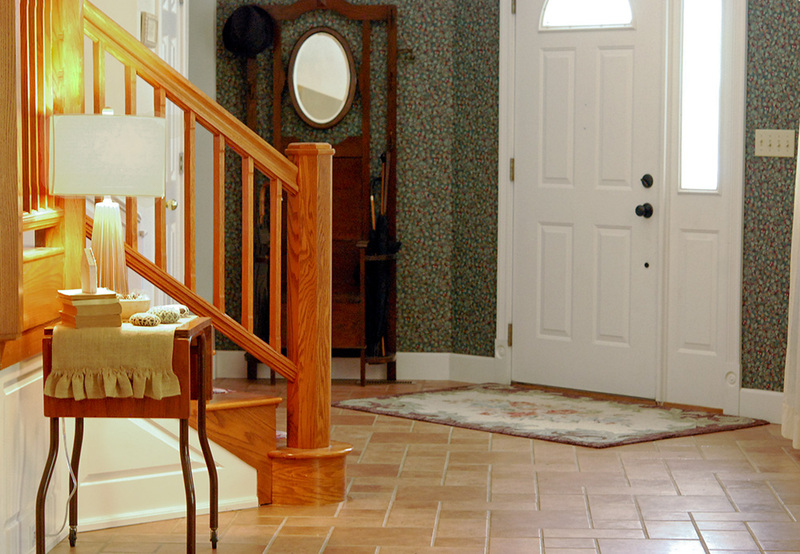 Love your foyer btw. 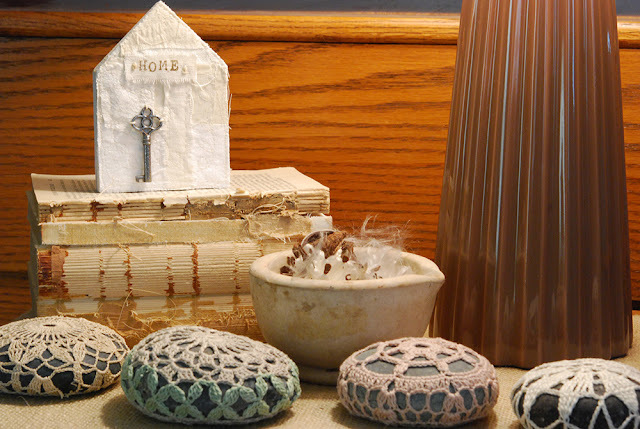 Those crocheted rocks are so pretty. 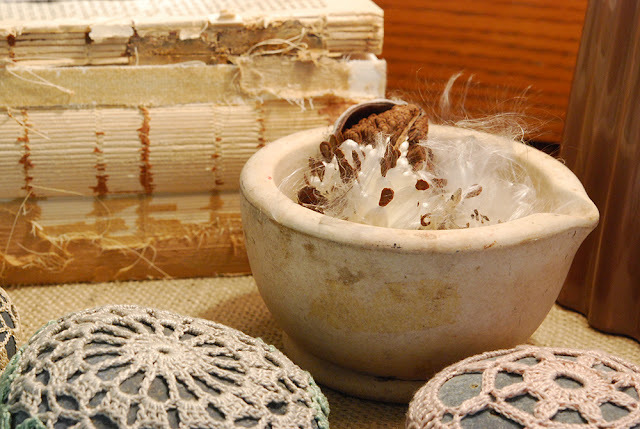 I need to brush up on my crocheting. I love the wood on the typewriter table. I bought one at a thrift store a few weeks back that was all metal. I haven't done anything with it yet...still sitting in my dining room. The entire vignette looks lovely. I've never seen one with a wood top! 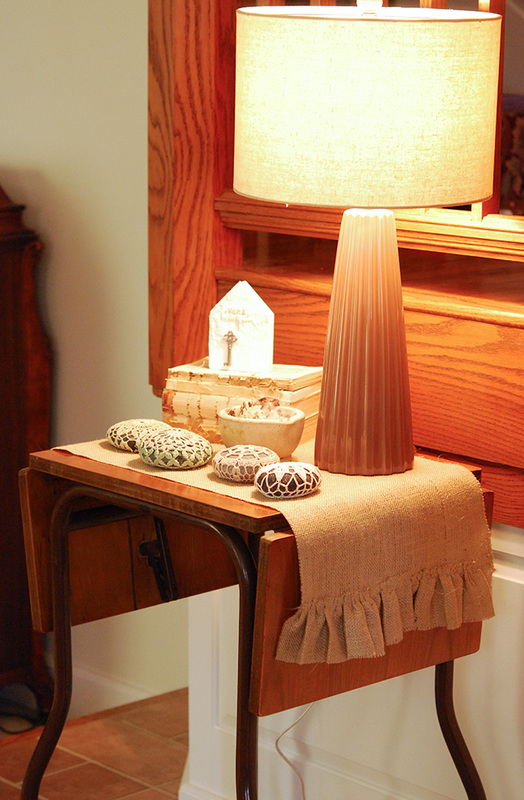 Love where you've put it and the vignette you've created is so pretty! Hey Jill! What a sweet little piece! Fits in nicely at your entryway! Ah, isn't it amazing how a few simple things can be a sight of beauty! you have a VERY good eye Lady!